Book 1 is all these different random comics about Pokemon. On the right side of every page there is a little quiz, and on the left side of the next page you will find the answer. 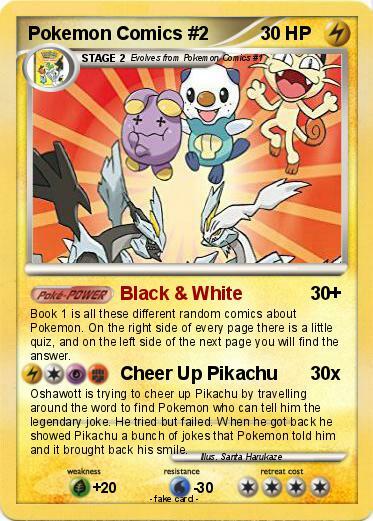 Oshawott is trying to cheer up Pikachu by travelling around the word to find Pokemon who can tell him the legendary joke. He tried but failed. When he got back he showed Pikachu a bunch of jokes that Pokemon told him and it brought back his smile.